Visit the referral page to get started and read the Terms & Conditions. Share your unique MuscleFood.com referral code with interested friends and family. For each friend who signs up and places an order you’ll receive £5 worth of loyalty points. Get hold of your friend’s unique referral code – the best way is to have them email you or share it via social media. Navigate to the via via the referral link. Sign up for a new account and place your first order. Enjoy your free gift! Spend over £60 and you’ll also receive a £10 discount. 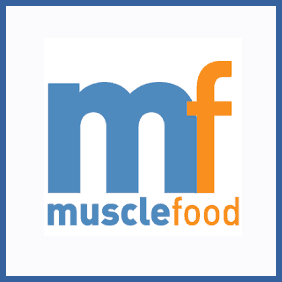 Refer a friend to MuscleFood.com and get them on board with this leading supplier of lean, healthy meats and sports supplements. You’ll receive a £5 discount towards your next purchase and receive a free gift – either 4 premium chicken breasts, 2 free range hache steaks, a loaf of wholemeal protein bread or 6 low fat pork sausages. If they spend over £60 on their first order they’ll also receive a £10 discount.